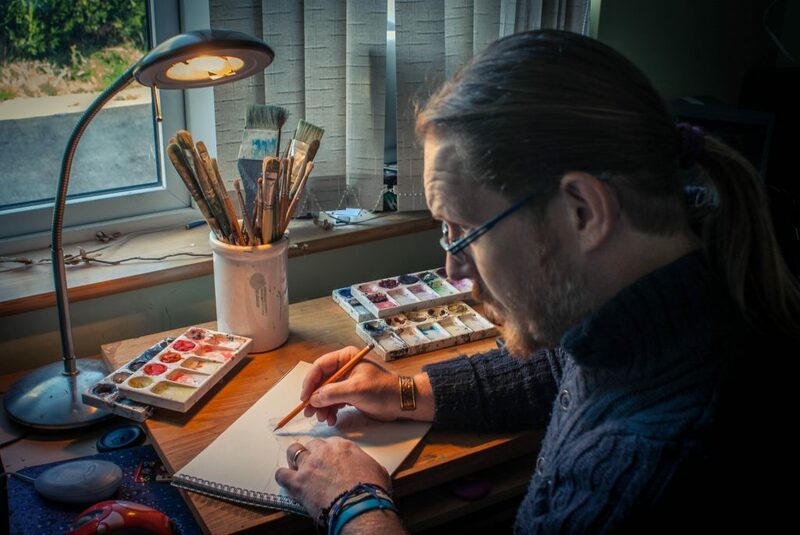 A self-taught watercolour artist who “found” his ability to paint in 2005, Darren graduated in Performing Arts (music) from Ballyfermot College of Further Education, Dublin (which also counts Oscar Academy Award Winners amongst its alumni). An accomplished musician, his first art exhibition was held in Lexlip, County Kildare. Today Darren paints full-time. Darren believes when you buy a piece of art you both a painting, and a piece time frozen. “I pour myself into each painting and it is very intense at times. I often find it hard to let a painting go”. 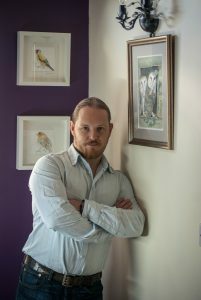 Darren, who grew up in Co. Dublin, now lives in the beautiful Laois countryside, inspiration for many of his watercolours. 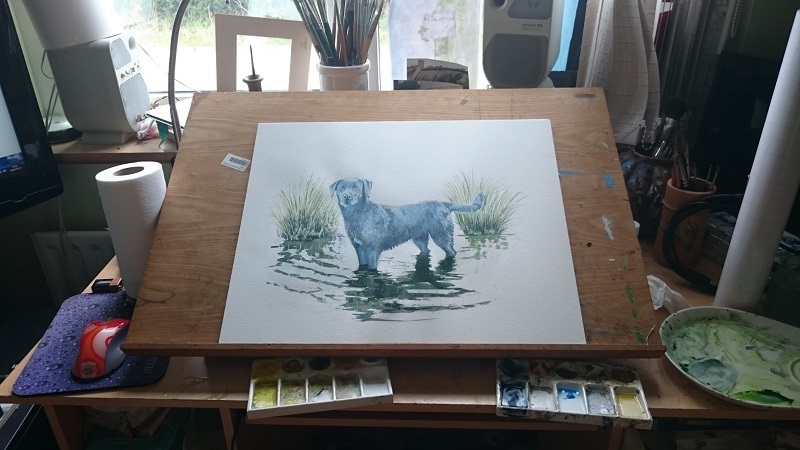 Covering a range of interests Darren paint from from wild life, animal portraiture, portraits, landscape and seascapes, and he does commissions by request. He has an passion for stonework and all that is encompassed in the theme Nature versus Human: where the natural world reclaims what human have built. An prime example of this is the “Junk Yard Kings” painting. 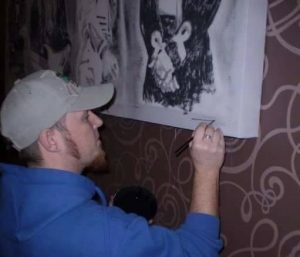 Working the local primary school in county Laois gave Darren an opportunity to encourage self expression and a love for the arts in young people.